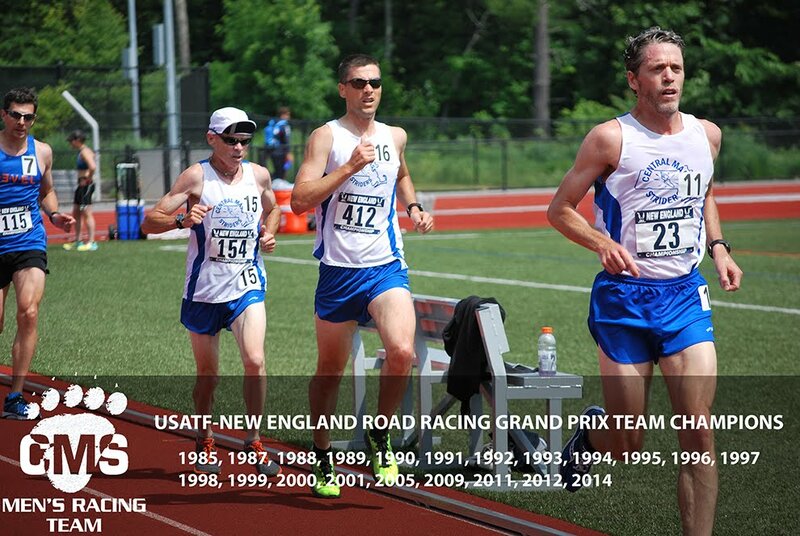 The Stowe 8 Miler was the 5th stop in the USATF-NE Grand Prix Series. In the Men's Open Division, the Polar Bears took home second place. In the Master's Division, the team placed third. For the open team, Justin Fyffe led the way by placing second overall. Fyffe ran with a large pack for about half the race before extending it out after eventual winner Brian Harvey made a move. Fyffe ran strong through the last mile and created a small gap on Eric Blake to place in the show position. Bob Wiles situated himself just off the lead pack in the opening mile and ran strong throughout the race to come in second for the team. 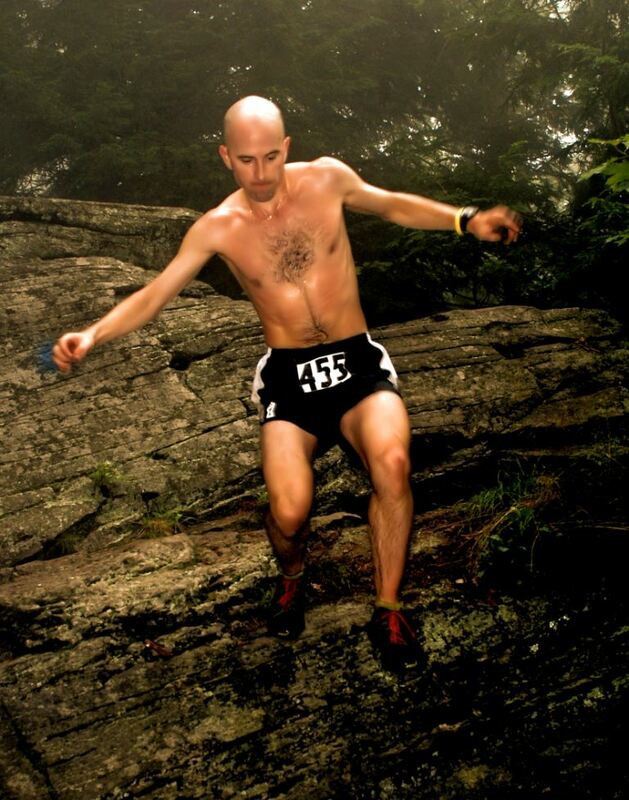 Andy McCarron continues to be a strong and consistent force for the Striders; he was third for the team. Mike "The Closer" Quintal ran an outstanding second half of the race. 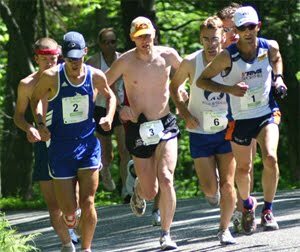 Mike passed runners throughout the last grueling miles, a testament to his closing abilities. Greg Hammett is back. He ran an outstanding race in the heat to round out the top five. 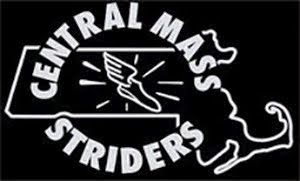 The next two runners for CMS were DoubleJ and Dan Navaroli. Dan is now fully out of his winter cocoon and running well. New-comer Ben Jenkins, making his Polar Bear debut, did well for his first 8 miler. We're glad to have him on the team. The master's team was led by Dan Verrington, who runs well no matter what the racing conditions are. DoubleD came in second for the team. This course was hilly but just not mountainous enough for Dunham to truly shine. He, of course, still did great. Tim Van Orden, keeper of blueberries and guide to refreshing swimming holes, placed third for CMS. Two tough guys, Ernie Brake and John Pajer rounded out the top five for the masters. July 5, 2010 2 Miles Chelmsford, Mass.